There's something really special about photographing a super cute couple on a private boat dock in your hometown in Florida. 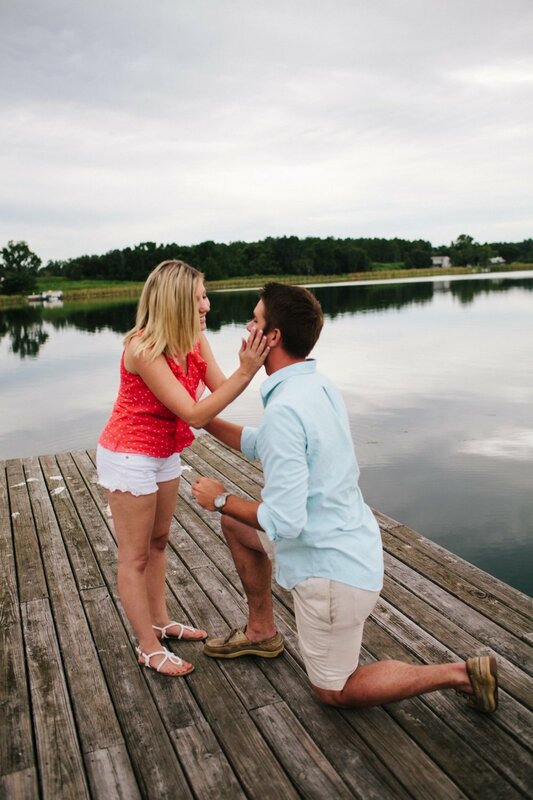 It's even more special when the session turns into a surprise proposal that you get to be up close and personal for. Heather and I spent four years on the yearbook staff together in high school, and Alex was a regular at the ball field that we grew up playing on. When you grown up in a small town like Dade City, it isn't long before your worlds collide and two of your favorite people end up together. I always schedule sessions during my trips to Florida, and Heather was so excited to plan a session to document the love that she and Alex share. We planned and scouted and came up with the perfect location - a super secret boat house on Lake Jovita in San Antonio, Florida. When Alex caught wind of our plans, he called me to let me in on a secret - he was planning on proposing to Heather during our session! I squealed with excitement. A proposal! How fun! And the best part was the fact that I didn't have to hide because we would already be taking photographs! The day of the session, we explored the property near the boat house, and eventually made our way out to the water. From the dock, you could see Heather and Alex's alma mater, Saint Leo. Alex suggest a cool photo with the college campus in the background, and I had Heather step forward towards me, telling her the shot with Alex blurred out behind looked so cool. 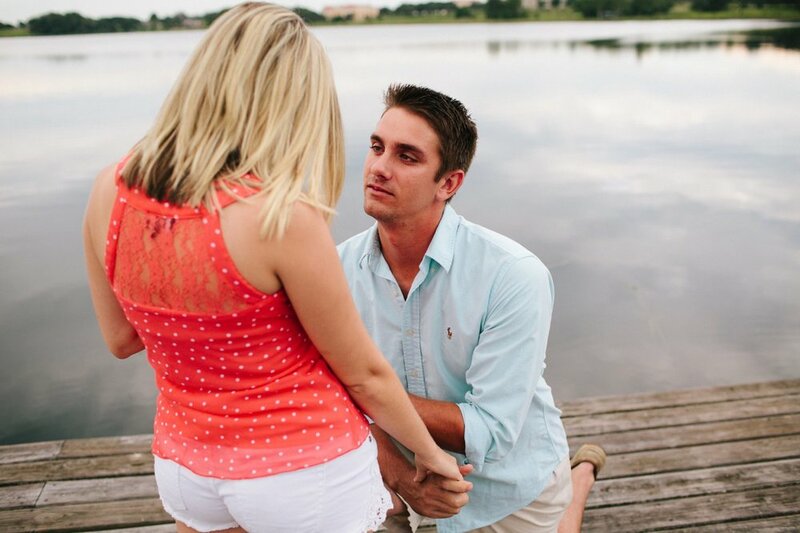 I subtly asked her to turn around and hug her man, and there he was, down on one knee. Heather was so surprised, she actually turned back around and covered her face, shocked and delighted by not only that gorgeous ring, but the sudden, exciting prospect of forever with her mister right. At this point, of course I was in tears, so let's give it up for auto focus. She said yes (duh!) and finally figured out that I was in on the big secret. We spent a little more time exploring the property and documenting a little bit of what turned out to be a pretty rad story. 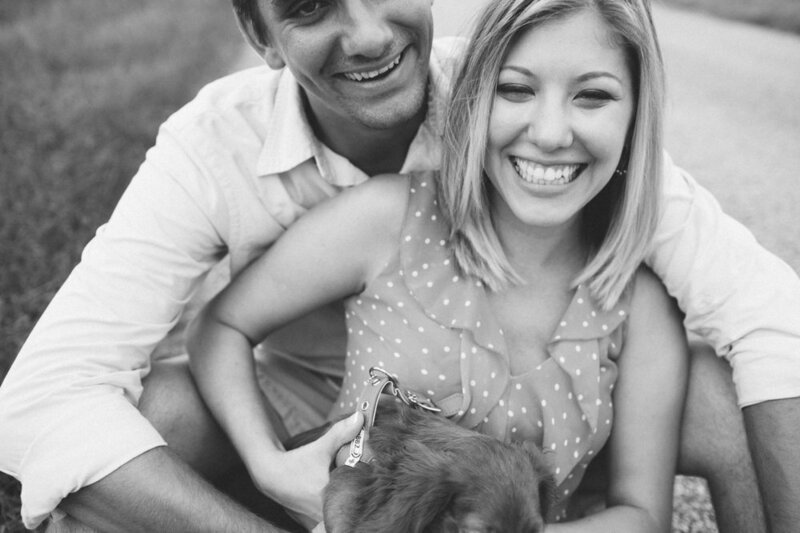 Heather and Alex, thank you from the bottom of my heart for allowing me to tell a little part of your love story!